Byron Yawn and his wife Robin grew up down the street from each other. They were high school sweethearts and had the special blessing of coming to faith during the same period of their lives. Their marriage has been about the Gospel from the very beginning. They have three children; Lauren, Wade and Blake. They arrived at Community Bible Church in early 2001. During their years there, they have seen the church flourish under a continuing commitment to expository preaching. Truly God is good to Israel, to those who are pure in heart. But as for me, my feet had almost stumbled, my steps had nearly slipped. For I was envious of the arrogant when I saw the prosperity of the wicked.- Psalm 73:1–3 (ESV) Is there really any profit to being good? Following God seems like a thankless, difficult, unprofitable path sometimes. It seems easier, less painful, and frankly more fun to be bad. Especially in difficult times it's easy to feel this way. 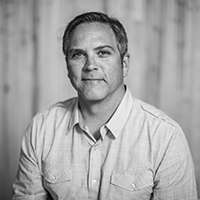 This Sunday our friend, Byron Yawn from CBC Nashville will be in town to teach us about suffering through looking at Psalm 73. He can teach us this not just from scripture but from his own experience.